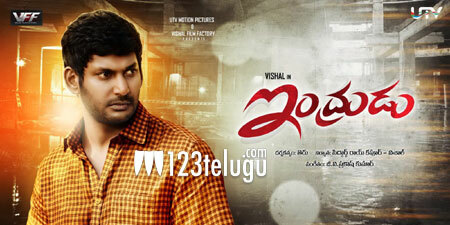 Vishal, Lakshmi Menon starrer Indrudu is gearing up for its release in Telugu soon. The film is the dubbed version of Naan Sigappu Manithan and it has Vishal playing the role of a young man who suffers from narcolepsy, due to which he sleeps without any control. The film has been directed by Thiru and UTV Motion Pictures jointly produced this film, along with Vishal Film Factory banner. The entire team is expected to attend the audio launch of the film that’ll be held on April 13 in Hyderabad. The film has already released in Tamil and it has got decent response. Prior to its release, the film was in news because of a hot lip lock between Vishal and Lakshmi Menon and the makers retained the scene in the end. G V Prakash has scored the music and Richard Nathan is the cinematographer.